The Warriors have fond memories of games having won the Challenge Cup there and drawing with St.Johnstone in the last meeting between the clubs before beating them in a replay. These games were over 20 years ago though and bore no resemblance to this meeting. St.Johnstone pushed for a goal from the kick off and there had already been a scare for the Warriors in the third minute when a Steven MacLean effort was blocked. A couple of minutes though the striker made the breakthrough when he headed home from close range. The Perth side were causing problems down the flanks with Stenhousemuir not being allowed to settle and MacLean had another chance in the 13th minute but his downward header had the sting taken out of it when it hit the ground and Colin McCabe was able to save. There was a half chance for Stenhousemuir at the other end in the 15th minute but Oli Shaw who had been allowed to play by Hibs lost control and the defence stepped in to clear. The bulk of the activity though was at the other end and Darren Swanson dragged a shot just wide after he was allowed to run unhindered. Eventually though St.Johnstone increased their lead though there was a touch of good fortune in their goal as Blair Alston’s shot was deflected past McCabe. Joe Shaughnessy came close once more for the Saints just before half time when he headed a corner just wide of the target. Although the Warriors were more involved in the second period they struggled to get through a home defence that was comfortable throughout the game. The best chance was likely to come from a set play but they were also few and far between with no free kicks being awarded in dangerous areas and the first corner kick coming on the hour mark but Alan Cooks cross was comfortably cleared. In the 62nd minute the play was at the other end and Keith Watson on his return after injury was unlucky not to score when McCabe made a double save to thwart him. Things got heated a couple of minutes later and Colin McMenamin was cautioned for a disagreement with Swanson. The latter was lucky only to be spoken to as he raised his hands. The Warriors did have an attempt on goal through Alan Cook after good work from the largely ineffective Willis Furtado but the strike didn’t trouble Zander Clark who collected it with the minimum of effort. Towards the latter stages St.Johnstone pushed hard to put some gloss on the scoreline and some good defence and goalkeeping allied to some good fortune kept the score down. Blair Alston who was man of the match was always getting into position to shoot and McCabe made a fine stop from him in the 80th minute and three minutes later another long range strike by Liam Craig was also saved. In the last minute of the game an Alston effort was blocked over the bar by Ciaran Summers and from the corner the ball was scrambled off the line before the rebound fell to MacLean but this time his shot was saved by McCabe. There was to be no further scoring and although the score was respectable the overall performance was a bit flat. 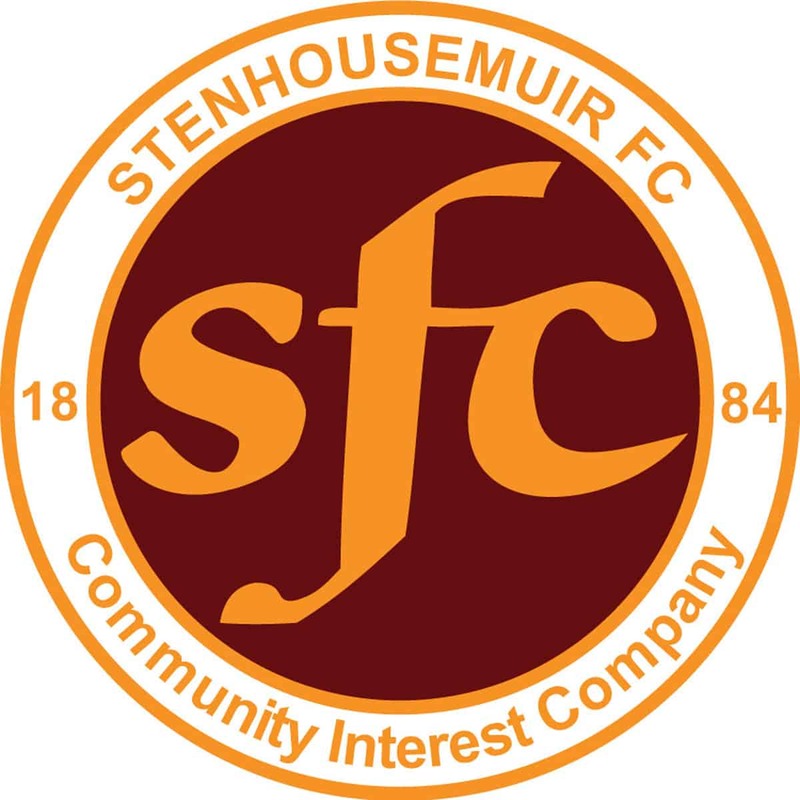 Stenhousemuir – McCabe, McCormack, Summers [b81], Meechan, Kerr [b52], Berry, Furtado [Manzana 72], Millar [McCroary 88], McMenamin [Docherty 82], Shaw and Cook. Subs not used – Crawford, Hamilton, McMaster and Runciman. Referee – Euan Anderson Assistants – Stuart Stevenson and Andy Milne.